The YOLO blends in with its surroundings. As an underemployed and overly thrifty Portlander, I mark certain menus for death with the brand HHINO: Happy Hour in Name Only. Sure, if you want to be able to say, "I got drinks at a happy hour tonight," the YOLO Lounge (412 SW Fourth Ave) can quantifiably do that, but if you actually want to tuck into some quality eats and drinks for a few dollars less, the YOLO ought to be close to the bottom of your list. The YOLO (short for You Only Live Once) doesn’t seem comfortable in its own clothes. 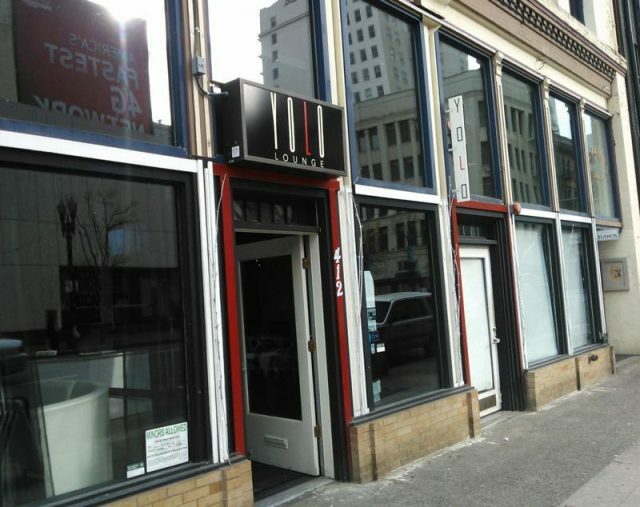 It passes the standard Portland high-life lounge test, replete with two-tone color scheme (one of those colors being black), couches, candles and a menu plucked from another country’s dinner table. But the party-life atmosphere of the YOLO seems ill-matched for the international cuisine that deserves to be highlighted. Inside The interior is endearingly dopey, like a nightclub set from a second-tier Bond film. 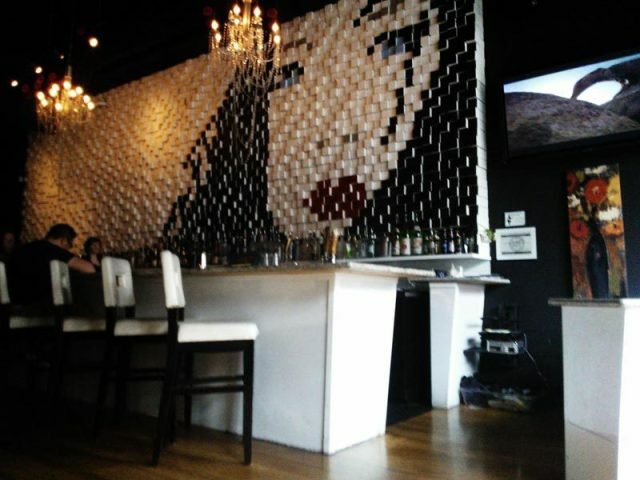 A gigantic tile fresco looms over the bar, and I’m 99 percent positive the artist nabbed the image from—I’m being serious here—the cover of the Memoirs of A Geisha DVD. A flatscreen TV positioned right above the bar plays clips from what looked like a straight-to-video Koyaanisqatsi sequel directed by Brett Ratner. Even on first encounter the YOLO seems a bit exposed in the light of day; the room looks purpose-built for dimly lit nights with the music turned up loud enough to make you shout at your date. If a 40-year-old DJ Pauly D. matured (and sobered) up, one could imagine him brainstorming the YOLO Lounge. Inside the YOLO. 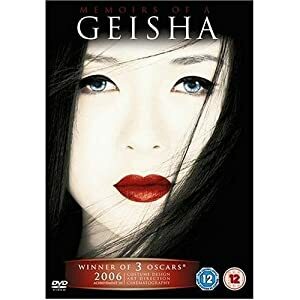 And, that is the cover of the Memoirs of a Geisha DVD, right? Food If YOLO didn’t seem to cater exclusively to people who attend DJ nights, it could breeze by on its food selection. 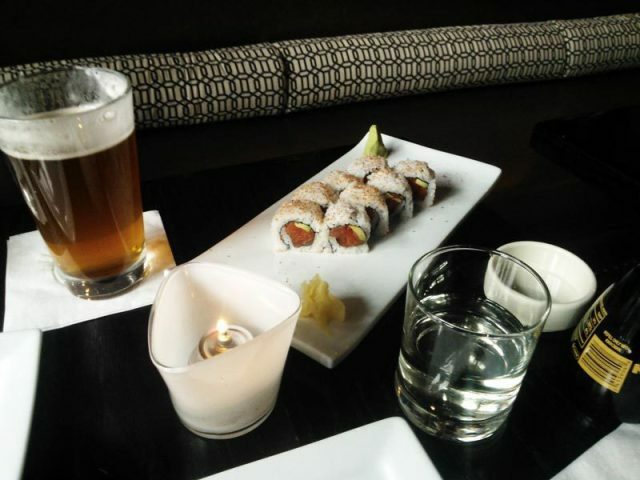 While the Happy Hour menu paled in comparison to the rest of the menu, the tuna and crab rolls were excellent. Only the traditional rolls and some appetizers come at a discount, which is fine because the rolls are the one true deal on the menu. Eight top-notch rolls for $5 even bests the price for Fred Meyer’s dubious sushi. However, just like the rest of the menu, the deals are significantly outnumbered by the expensive full-price dishes. You can’t fault the YOLO on presentation. Bottom Line If price is no object, then the YOLO Lounge will serve to your delights (also, why are you looking at a happy hour review?). Crowds vary from day to day—attendance peaked at about 5 p.m. for the Tuesday afternoon I attended, but the club is known to get pretty packed with bridge-and-tunnel turistas on the weekends. The waitstaff couldn’t have been more gracious, but the menu didn’t have the deals that my skinny wallet was craving. If your car breaks down, say, within a two-block radius of the YOLO and you just have to have a beer to calm your nerves, then yes, the YOLO will suffice. The sushi, however, warrants a second look, and if you find yourself in need of some snazzy seafood at a very decent price, then the YOLO has what you need. Just go get drinks somewhere else after.